Wear the sujok ring on your finger and glide it up and down. The wires press on the meridian points and help stimulate the energy channels. Acupressure requires several instruments in order to be performed properly. Acupressure techniques can do anything from lower blood pressure to relieve pain. RELAX WHILE DRIVING : Acupressure Car Seat made up of plastic beads based on Acupressure Systems. 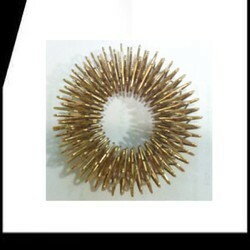 Special beads points helps in balancing Bio-energy of the body. INDICATIONS : For Sciatica. Backache, Lumbago, Piles & Urinary, Improves Sitting & Working Capacity. Energy Electronic Acupuncture Pen Massage Pulse Oximeter. For special points of your Hands, Foot and Body. Roll in your hands for 5 to 10 minutes daily. Best for middle part of palm & finger relaxation. 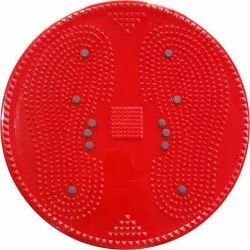 We have carved a niche amongst the most trusted names in this business, providing Spike Acupressure Ball. This Spike Acupressure Ball improves the immune system, relieves the effects of stress, encourages better circulation, relieves pain, help eliminate waste products from the body, better bowel movements and clear the toxins.